This isn’t the next guitar I bought, not really. I had a ’06 Korean Electromatic for a few months, but traded it for this Japanese reissue. 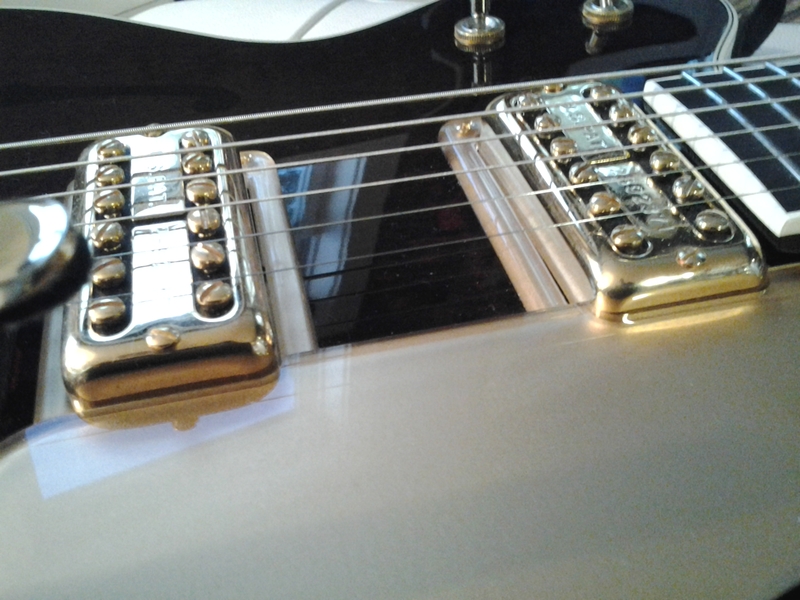 These big old ’62s with the fake f-holes sound great clean, and you can push them as hard as you like. These Terada guitars are consistently very good. This one has never needed anything beyond a good set up and some D’Addario 11s with a wound G. I really ought to try some GTS strings out on this one, now that I’m thinking about it. 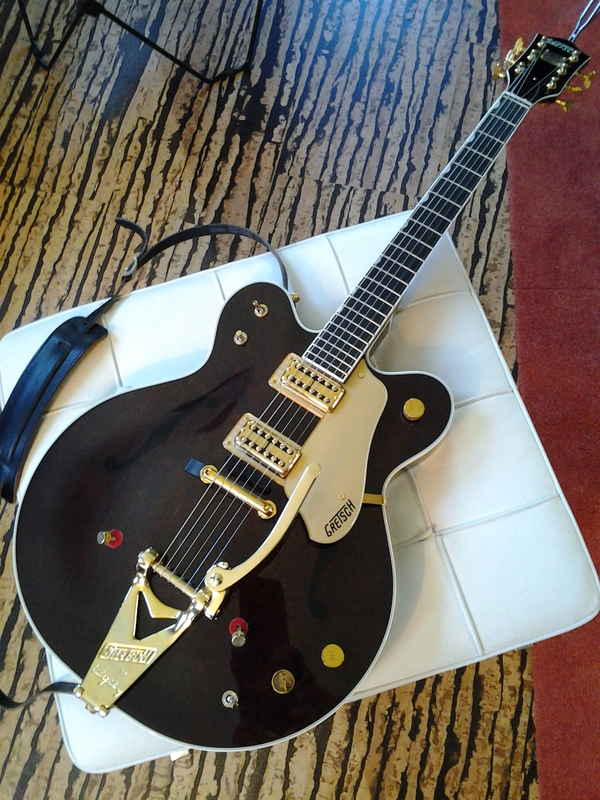 These modern Gretsch filtertrons, by the way, can sound really good if they’re well tweaked. Now strung to spectacular effect with 11-21w-49s from thegts.co.